There is one protein that many people love for lots of different reasons. Beef is a protein that has it’s own flavors and often times is cooked with just a few seasonings and still it comes out perfect. Having beef while on the 21 Day Fix is a very good idea. All of the protein and health benefits of beef can help you along your path to a healthy lifestyle. 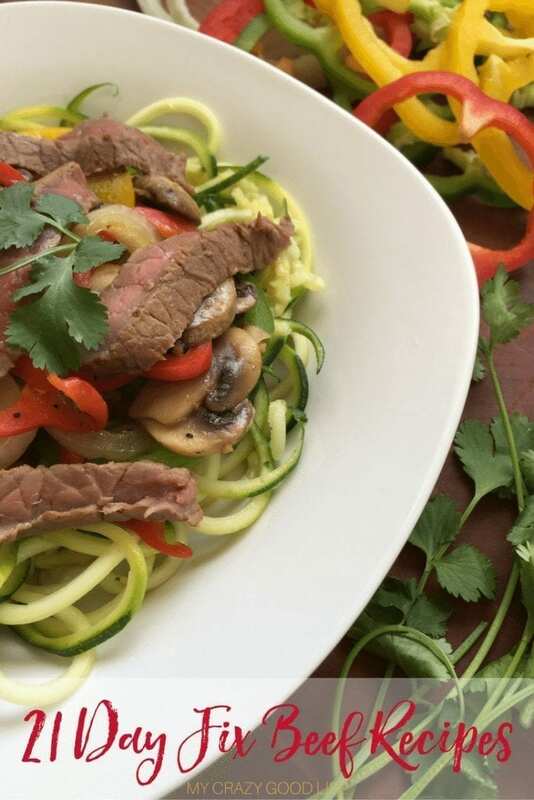 Trying the many different 21 Day Fix beef recipes is part of the fun. There are so many different cuts of beef that the possibilities are endless. Thanks so much for the shoutout! Definitely going to have to check out some other recipes on this list, as well. Thanks again! Great post! Thanks for including me. Now to go check out the other awesome recipes included. Have a good one!